The ResilientAmerica Roundtable and the Puget Sound Regional Council (PSRC) have been working together to better understand and address future climate impacts in the Central Puget Sound region, and to help local decision makers identify and integrate actions to build climate resilience into current plans and efforts. After the survey, the Roundtable and the PSRC met with seven jurisdictions to obtain a more in-depth, local perspective about communities' key priorities and challenges in addressing their climate risks and ways they think the PSRC could support local decision makers. 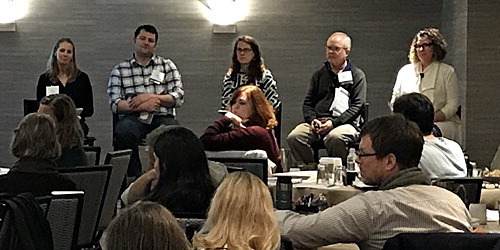 Peer-to-Peer Knowledge Exchange: Representatives from local jurisdictions shared their resilience-related initiatives. Funding Resilience: Representatives from federal, state, and local government and other organizations discussed funding opportunities and other resources available to communities for building resilience to climate risks and other hazards. 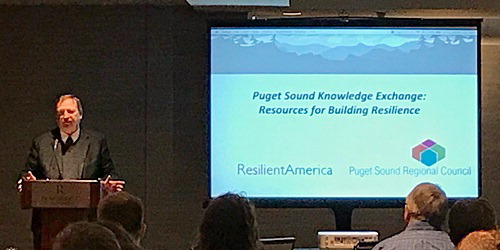 After the workshop, attendees were provided a document, Resources for Building Resilience in the Puget Sound Region, WA, that listed resources for building resilience available to communities, and also included information about resources specific to communities in the Puget Sound. The key to recovery is strong organizations and connections that can pull together. The PSRC can provide that. The PSRC is putting a lot of resources into updating and maintaining the transportation system for the area, but there is still more to do. Moderated by Kelly McGourty, Senior Program Manager of Transportation Planning at Puget Sound Regional Council, this panel explored resilience work being done in the region and featured representatives from local organizations and jurisdictions to share their resilience-related initiatives and projects. Funding Resilience - Federal Resources: What is available and how can we work together to leverage resources and find creative solutions for resilience? 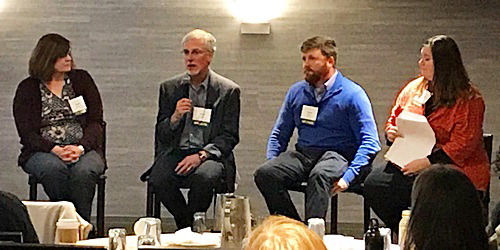 Moderated by Kris Ludwig, Staff Scientist at the U.S. Geological Survey (USGS), this panel explored the resources and funding opportunities available from federal agencies. 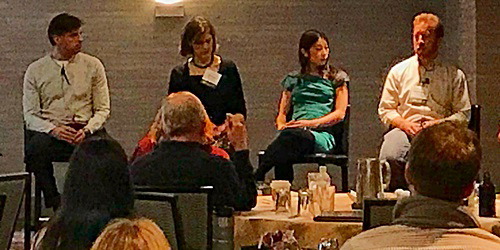 Before introducing the panel, Ludwig talked about resources that will soon be available through USGS including the Puget Sound Coastal Storm Modeling System (PS-CoSMoS), and a risk assessment of different threats to Department of Interior (DOI) public lands, a project just getting underway in partnership with the DOI. Travis Ball, Hydraulic Engineer at the U.S. Army Corps of Engineers (USACE), facilitates the Washington Silver Jackets program, an interagency group of federal and state agencies that identifies and prioritizes flood risk issues. He discussed the recent project partnership between the USACE and the Climate Impacts Group (CIG) at the University of Washington. FEMA funded CIG to study the integration of climate resilience in flood risk management. The result of this partnership was a work plan for the Washington Silver Jackets Team on integrating climate resilience into flood risk management. Ball also discussed a few USACE programs that are accessible to communities including the Continuing Authorities Program (CAP), the Planning Assistance to States program, and the Flood Plain Management Services. Gwen Shaughnessy, Climate Adaptation Specialist in NOAA's Office of Coastal Management Engagement, Training, and Education, talked about NOAA’s Digital Coast. This NOAA-sponsored website is focused on helping communities address coastal issues and has become one of the most-used resources in the coastal management community. The Digital Coast Partnership, whose members represent the website’s primary user groups, keeps the effort focused on customer needs. A great place to start is by visiting the Topics page. Funding Resilience - State and Local Resources: What is available and how can we work together to leverage resources and find creative solutions for resilience? Moderated by Steve Moddemeyer, Principal at CollinsWoerman, this panel explored resources and funding opportunities available from state and local agencies or organizations.